Since its founding in 1978, the National Music Theater Conference has developed more than 132 new musicals, including early works of Nine, Violet, Avenue Q, In Transit, and In The Heights. Actor, musical director, composer/lyricist, and educator, Gemignani is currently performing as King George III in the Chicago company of Hamilton. His Broadway acting credits include: Violet, Chicago, Les Misérables, Sweeney Todd, Assassins, The People In The Picture, Sunday in the Park With George. Off-Broadway: Road Show at the Public, Headstrong at EST, and Avenue Q at the Vineyard Theatre. Regional credits include The Three Sisters (Cincinnati Playhouse), Oklahoma! (THE MUNY), The Boys From Syracuse (Shakespeare Theatre Company), and Saint-Ex (The Weston Playhouse). He has premiered solo shows at the Kennedy Center (Barbara Cook’s Spotlight), The Sheen Center, Birdland, and Feinstein’s. TV/Film: Empire, Homeland, Chicago Fire, The Good Wife, Empire State, and The Producers. As a composer/lyricist, he is currently developing four new musicals and has composed the incidental music for several plays. As a musical director, he is in development for productions with The Public Theatre and Roundabout Theatre Company. He has served on the faculty of the National Theater Institute and NYU. He is a member of the BMI Lehman Engel Musical Theatre Workshop and a graduate of the University of Michigan. He is the son of Broadway musical director Paul Gemignani and soprano Carolann Page. 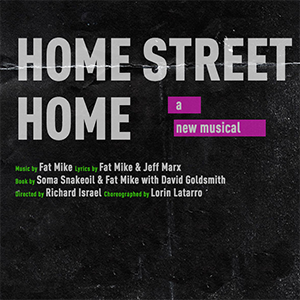 Selections for 2017 summer season have just been announced and include: Home Street Home by Soma Snakeoil, Fat Mike, and Jeff Marx with David Goldsmith;iLLA! A Hip Hop Musical by Ronvé O’Daniel, Jevares C. Myrick, and J Kyle Manzay; and Superhero by John Logan and Tom Kitt. Selected from 211 submissions, each musical will undergo the O’Neill’s signature development process, employing professional creative and support staff, including acclaimed directors, music directors, dramaturgs, performers, and orchestrators to bring this interdisciplinary form of storytelling to life. Gemignani will begin his tenure this fall. Open submission guidelines for the 2018 season will be announced in September.